Kgb2d was founded on May 6, 2012 by BOXY. 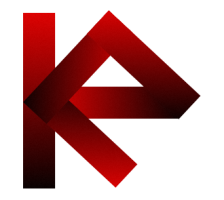 Kgb2d was a clan since 2012 until 2017. Since the beginning of 2017 Kgb2d is a gaming community. Second(legendary) forum website Kgb2d.forum.st was opened in 2013. Being used until April 2017. First opened server of Kgb2d Clan.The server was created originally with lots of labor and creativity by BcY to make a trend in Zombie Mod for CS2D in 2012.Maps are specially designed for the server.Lots of custom plugins were made ands special sound effects were used.The server is still in development since 2012.Also approximately 10.000 players are saved in the server data(USGN). Second opened server of Kgb2d Clan.The server was started to be creating after opening of [Kgb2d] - Zombies by BcY. [Kgb2d]-GTA Town map took 6 months to make for the first version of itself.After completing it nearly every 1(sometimes 2) week,updates were loaded to the server to make it look better and having good design.The map and the whole server is still in development since 2012.Also approximately 11.000 players are saved in the server data(USGN). Third opened server of Kgb2d Clan.The server was opened by BcY to keep classic construction spirit alive.The server uses con_sandbox map.Also approximately 3.900 players are saved in the server data(USGN). Third opened server of Kgb2d in Mid-2016. Provides qualified standard gameplay. The server uses standard maps. Approximately 1200 players are saved in the server data(USGN). Wow, I wish I was in that list lol. I'm not very old CS2D player, sadly. Btw, I saw that logo for the first time, and I think it's, unique. These members are all from 2012. Already mentioned that they are the first members of the clan. That logo should be replaced with a new one asap and I don't feel like it's a Kgb2d logo, you know.